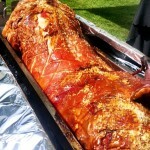 Spitting Pig Essex is an expert hog roasting company who covers the whole of Essex, with a focus on mouth watering hog roasts and event catering. Helping you make the best of any occasion is what we do, and we do it by putting into action decades of culinary experience, the best staff in the land and a tried and tested, amazing cooking process that brings out the fullest flavours and textures for any hog roast Colchester event. You will have not tasted a hog roast like a Spitting Pig hog roast! Our locally sourced ingredients, free range pigs, alongside some little secrets, brings out the most amazing flavours you will have ever experienced. 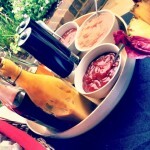 We believe that food that tastes amazing can make all the difference to an event, and it doesn’t matter if the event is a birthday party or a corporate function, because the effect of great food is all the same – it makes it all the more enjoyable, and engaging, which is also very important for an event, to engage. It’s not like the old days where you could give people any old food and you’d hear nothing of it, today food that tastes great is expected and the standards are that much higher than they once were. Give someone an undercooked sandwich and before you know it they’ll be a blog online announcing the injustice to the world. This has had 2 effects, one good for us and the other good for you. The first effect is that more people are seeing food is vital and turning to the professionals, in this case us, to get the job done right. Where the public benefit is from the increased competition and higher standards, as mistakes and badly done food isn’t tolerated any longer. That’s even better for us because with people demanding more from their caterer we’ve gotten bigger than ever, now that our acute hog roast skills are seen as the height of catering. Hog roasts are back, bigger than ever before. Enjoying a well tended succulent pig after it’s been spit for 3-8 hours is up there with the best for taste, and it’s also an exciting promoter of social interaction and all round great fun. 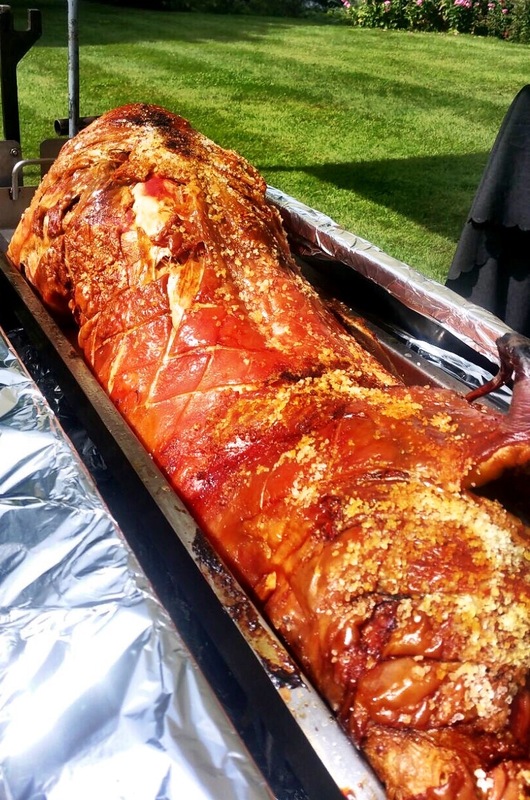 At all hog roast Braintree events you want people to get into the swings of things and to have a good time; even if the event would be a good one without food you can’t deny that exciting food can add another element to any event. Our motto is that any occasion can be made better with a hog roast to be shared and enjoyed by your guests, or even a spit roast. Spitting Pig Essex is the only place where you’ll find a professionally served hog roast service backed up by a whole new world of exciting foods. Not many hog roast caterers combine the simple pleasure of a hog roast with traditional foods, and none do it as well as we do. We make the finest hog roast Colchester there is, but we love to go one better and serve alongside our famous hog roasts a mix of appetite whetting canapés; desserts; salads; vegetable and potato sides; and soups. 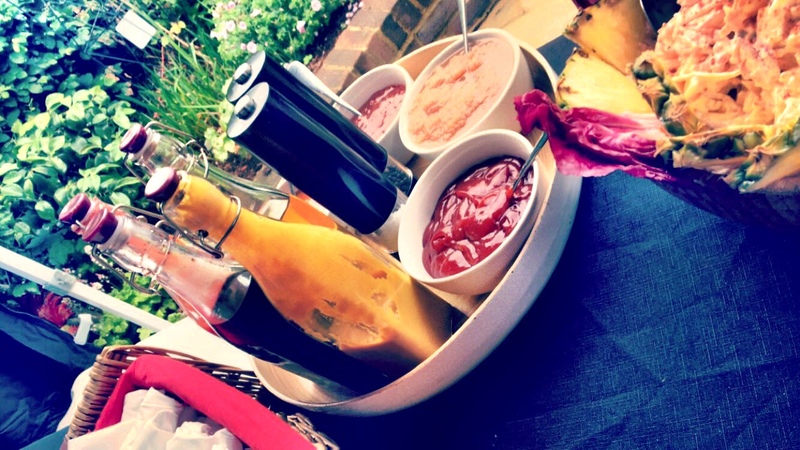 And we do everything else on our menu just as well as we do a hog roast, because Spitting Pig Essex encompasses a range of foods and many chefs who know the elements of good cooking, no matter what the ingredients or method is. Spitting Pig only hires the best people and that shines through in every service we do. Our staff are competent bordering on infallible, and the service is always a reflection of just how good the team are. At events we can cook a pig, lamb, chicken and more meats. Cooking a mix of good food is definitive of Spitting Pig Essex, we’ll cater quality food and give you a real say in the matter for a hog roast Basildon. Every stone has been turned over to create the menus we offer, we’ve got a really good mix of different tastes, which makes us the ideal team to have whether your event is in summer or winter, inside or outside, in the morning or in the evening. All circumstances have a menu that’s just right for them. Hog Roast Essex – Some areas around Essex we offer our Hog Roast services too – Basildon, Benfleet, Billericay, Braintree, Brentwood , Brightlingsea, Burnham on Crouch, Canvey Island, Chelmsford, Chigwell, Chipping Ongar, Clacton on Sea, Coggeshall, Colchester, Danbury, Earls Colne, Epping, Grays, Hadleigh, Halstead, Harlow, Harwich, Hockley, Hornchurch, Ingatestone, Kelvedon, Maldon, Purfleet, Rainham, Rayleigh, Romford, Saffron Walden, South Ockendon, Southend on Sea, Stanford Le Hope, Theydon Bois, Tilbury, Tiptree, Upminster, Waltham Abbey, Wickford, Witham. 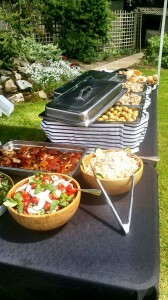 Please call us to make a booking or catering enquiry. Catering from Spitting Pig is well priced, so much so that you’ll probably think we’ve missing out an extra digit when we create a quote for you, but that’s the luxury of a hog roast Grays it’s not excessively priced because we believe in giving our services for a fair price, instead of setting our prices artificially high and overcharging you. Even better value than a hog roast Harlow catered to you by us is a hog roast Brentwood that you create yourself, still with our help, but in a different way. 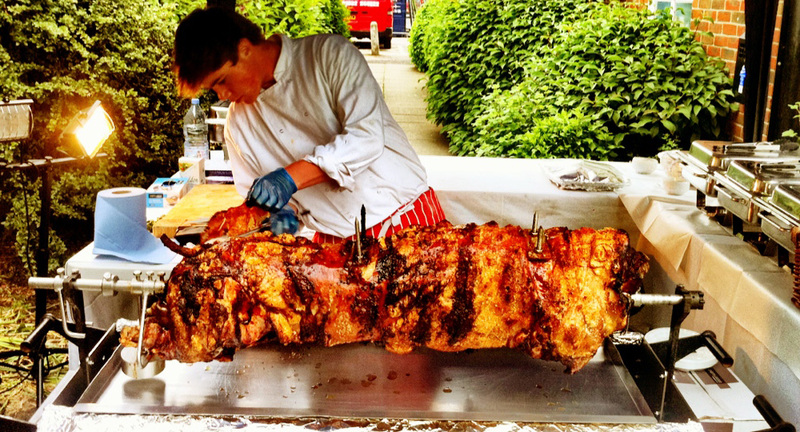 A hog roast machine can be bought or hired from Spitting Pig Essex, and if you hire a machine you can create the famed flavour of a professional hog roast yourself, and better still it’s easy to do. If you hire a machine from us we’ll show you the ropes so to speak, and deliver the machine with gas, then return it ourselves and all for no additional cost to you. Like our catering service itself, the machines can be used indoors and outdoors. But if you really, really love a sumptuous hog roast there is always the option to buy the machine after hiring, or straight away, the choice is yours. We sell hog roast machines by the truck load each new year and if you have a look around the kitchens of many eateries you can often find a Spitting Pig hog roast machine. Every day is a new day for Spitting Pig Essex and with each new day we meet new people and new customers, catering at new events in new venues and locations. We’d love nothing more than to cook a hog roast for you and your friends, and we guarantee that if you give us the opportunity our hog roasts will mesmerise and impress with consummate ease.